It's not just any read, it's A-Read! Long gone are the happy days when all it needed a ship to sail were a few sails or for a man to make a stage coach a few blocks of wood along with a few elementary tools. Modern technology has made man’s life utterly dependent on fuel. Unfortunately, being a non-recyclable resource, it is absolutely vital to properly utilize every single drop of it. This is where fuel management systems play a pivotal role. As the name suggests, it is concerned with the monitoring of a company’s fuel consumption, its efficient use and the amount of fuel that it has in its stock. 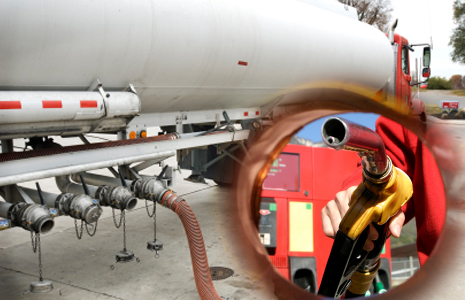 The focal point of the job is to keep track of the total fuel consumption of the client and make reports on them accordingly with suggestions regarding how to achieve a higher level of fuel efficiency. Though no industry can operate without fuel, the system of fuel management is mainly implemented by the manufacturing and the transportation industries. Any vehicle that uses fuel- and there are few that do not- comes under the monitoring of the system. The focal point of the job is to keep track of the total fuel consumption of the client and make reports on them accordingly with suggestions regarding how to achieve a higher level of fuel efficiency. Indeed, there are a number of methods to perform this function. One of the commonest is the use of Card-based fuel management system. Here, a fueling credit card and the driver PIN attached to it are used to keep a tab on fuel consumption by the driver and reports are generated by directly downloading the relevant data. Another frequently employed method is that of onsite fuel management system. Fuel tanks are kept at the site and monitoring is done by measuring the level of fuel left in stock after consumption. In mobile fuel management system, tankers are used to refuel commercial vehicles. This at times involves the application of RFID technology whereby unique identifications are attached to each transaction made. Nowadays, fuel management companies tend to combine both onsite fuel management and card-based system management in their services. This helps to conserve manpower as the vehicles do not have to be taken to the stations for fueling. Also, it helps to conserve the fuel that would otherwise have been wasted in making the trip. Fueling of the vehicles after the conclusion of business hours is another way of saving both work time and task force needed for the job.